Whistler BC is a holiday destination that's sure to equal, if not surpass, your expectations of a mountain getaway, with all the amenities guaranteed to help you relax and have a pleasurable stay. 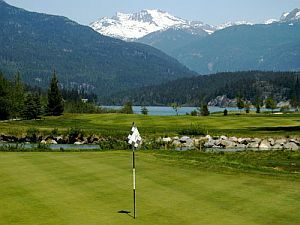 It boasts of the Whistler/Blackcomb Mountain Ski Resort, venue of the 2010 Winter Olympic Games, breathtaking Golf Courses and spectacular scenery. There are so many things to do, both for sports enthusiasts out to conquer challenging ski slopes or mountain bike paths, and the casual visitor who simply wants to soak in the refreshing mountain air and majestic views. And the best way to get to Whistler is with the Whistler limousine services from Whistler Mountain Transportation. We guarantee not only comfort and reliability, but also the kind of luxury land travel that befits your relaxing stay at Whistler BC. In fact, this experience begins right from the time you land at the airport. We make the trip from Vancouver or Seattle to Whistler an experience so memorable you will look back to it as a rewarding part of your holiday. Our chauffeurs are ready to meet you at the airport. Whether you are traveling from Vancouver International or Domestic Airports or the SeaTac Airport, we have available, Vancouver to Whistler limousine as well as Seattle to Whistler limousine services. In fact, our Seattle to Whistler limousine service is comparatively more economical and faster than getting connecting flights. We have the largest and most modern fleet in British Columbia with a variety of luxurious vehicle options that can accommodate anywhere from one to thirty-two people. All passengers travel for a single fare. Compare this to the cost and the inconvenience of waiting for and transferring to a connecting flight. With our Seattle to Whistler limousine service, you not only get savings, you also get to experience a luxurious limousine ride that will take you through a scenic route that is sure to make an unforgettable addition to your holiday experience. Our vehicles come with compartments which can store your ski, golf or other sporting equipment, plus your luggage so you are assured of a spacious and comfortable ride. And from Vancouver to Whistler, we drive you through the beautiful Sea to Sky Highway and take you through a route where you can have the chance to view rainforests, dormant volcanos, ancient glaciers and lava flows, mountain lakes, waterfalls, and quaint villages, amid a backdrop of the magnificent ocean and mountains. We also offer the same luxurious and scenic ride when the time comes for you to depart, with our Whistler to Vancouver limousine services, as well as our Whistler to Seattle or SeaTac routes. Find out more about our services and the estimated travel times for our routes on our Services page. Booking our services can be easily done online or by phone. We promise you the kind of travel experience that is more than just a ride. It is an occasion to savor and remember. Our Chauffeurs aren't just experienced professional drivers. Many are also first class tour guides. Interested in a tour of Whistler and the Sea to Sky Corridor, Vancouver or Whistler? No problem. Just let us know when you make the reservation and we will customize a day to suit your interests.